Spring Grove: Beginning of the end for freehold developments..? A canny purchase of a block of freehold land in Grange Road by the US government 64 years ago is turning into the proverbial goose that lays the golden egg. The first windfall came in 1991 when it reaped $80 million from selling a 99-year lease on the 24,481sqm (263,600sqft) site, which at one time housed the ambassador's residence. City Developments developed the plot into the 325-unit Spring Grove condo. Now the USgovernment stands to get another big bite of the cherry as the Spring Grove owners have launched a collective sale at the eye-popping price tag of $1.39 billion. 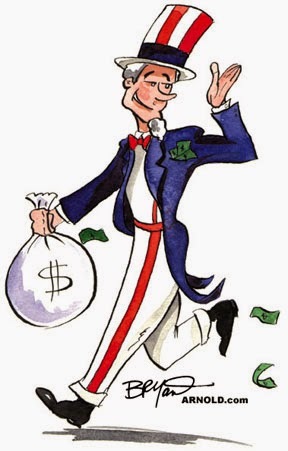 As the land owner, the USgovernment would enjoy a windfall of $245 million just to top up the lease by a further 27 years - to 103 years - if the collective sale attracts a buyer. This is three times what it was paid for the original 99-year lease which it sold on the land 23 years ago. For home owners who bought leasehold property on freehold land not owned by the Government, the Spring Grove collective sale will hopefully provide some clarity on how they can realise the potential of their estate through such a sale as the duration of the lease runs down. Thus, the yardstick by which the US government arrived at its asking price for the top-up premium is likely to attract considerable scrutiny, especially since it may set the benchmark for any subsequent collective sale on a leasehold estate whose freehold rights are not held by the Government or the home owners. Currently, when a lease runs down for 99-year projects on land owned by the Government, firms that redevelop the site after a collective sale pay the Government a top-up premium to get the lease rewound to 99 years. In the Farrer Courtcollective sale in 2007 - the priciest collective sale ever at $1.34 billion - a sum of between $175 million and $225 million was reported to have been paid for topping up the lease from the remaining 69 years to 99 years. But while the top-up premium paid for the Farrer Court collective sale was similar in quantum to what is being demanded by the US government for Spring Grove, the site had a shorter remaining tenure and a land area three times the size of Spring Grove. For real estate developers sitting on a cache of freehold property, the Spring Grove collective sale also bears watching. As a rule, most of them do not retain any reversionary interest on the freehold land. Their connection ends once all the condos have been sold. Yet, the handsome gain the USgovernment may reap from the Spring Grove collective sale may cause developers to have a change of heart. Leasehold units typically sell at a 10 - 15% discount to similar freehold homes so the full value of the land cannot be realised. 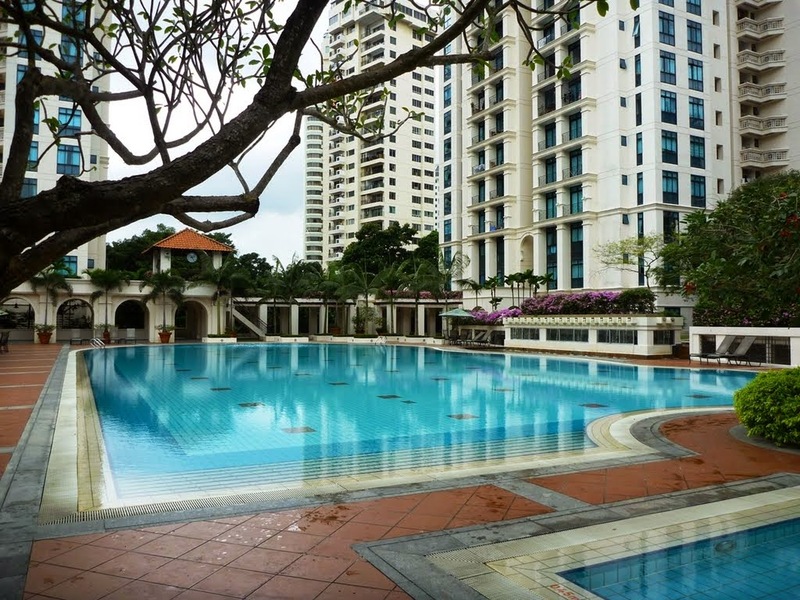 But even if developers have to take a discount to sell leasehold condos on freehold land, this may still be worthwhile as some developments may turn out to be gold mines like Spring Grove and offer them a second bite of the cherry, like what the Americans are attempting. 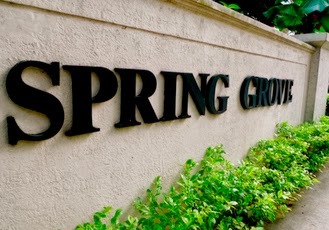 The battle for Spring Grove once again casts the spotlight on how valuable freehold land has become in Singapore. It will only reinforce the view that such land can only get pricier as time passes. When news of the Spring Grove en bloc sale was first reported on 16 July, the wife and I had decided not to feature this on our blog. 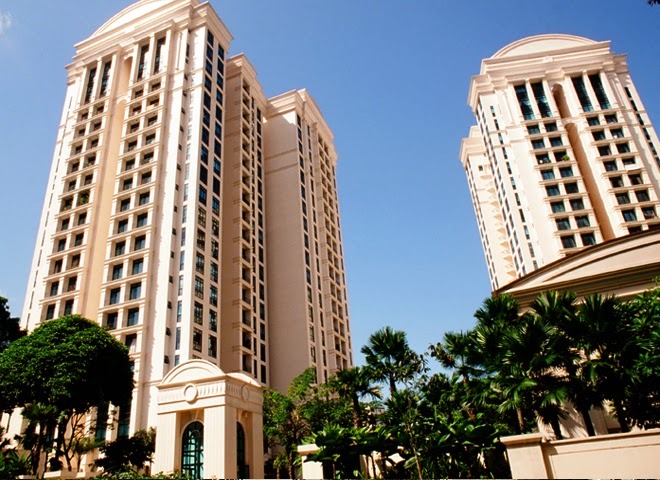 We reckoned that every other property-related blog and web sites will be talking about it, since it is slated as the largest ever collective sale in Singapore in terms of value. But today's article in the ST has reignited our interests - not because of the collective sale per se but the discussion about developers choosing to develop leasehold projects on freehold land while retaining reversionary interest in the land. Not many developers to date are keen on the strategy for the simple reason that 99 years is a long wait and they may not be around to enjoy the fruits of their effort. And for listed companies, the management may not have the luxury of time to see profit only in 20 to 30 years. But the wife and I are aware of at least one developer that has subscribed to the strategy - Far East Organization. So what do projects like Cabana (Yio Chu Kang), The Greenwood (Bukit Timah) and The Shore (Katong) have in common other than all were developed by Far East? No prize for guessing that all three are leasehold (103 years) residential projects developed on freehold land. In all fairness, these are all fairly new developments so any en bloc talks are probably way too premature. But when the time comes for owners to want to do a collective sale, they will have to refer to the holder of the freehold title - which is Far East, instead of the Government. Far East will then have the options of either granting a lease top-up, buy back the land, sell the freehold tenure or simply do nothing. And they will continue to profit from any top-up premium as long as they hold on to the land title - provided that the Company continues to exist, of course. So will we see more of such strategy being deployed by Far East or maybe even by other developers? Only time will tell but the wife and I reckon that there will likely be more 103-year projects on freehold land from Far East at least. And for the record, the $1.39 billion that Spring Grove is asking translates to $2,512psf ppr, based on the maximum gross floor area of about 553,377sqft. The breakeven cost is expected to be around $3,400 - $3,500psf. No Comment to " Spring Grove: Beginning of the end for freehold developments..? "